• Fed up with those bulky, dim, battery draining, & cheap flashlights that barely work even the first time? • Want to unwind without stressing about your lighting needs? • Had enough of those clunky lamps that take up too much space & are a nightmare to get to work in emergencies? • FREE Ebook on marshmallow roasting & s'mores making + 10 Recipes you have to try! Best money ever spent: the mallome led lantern lights set includes 2 colors: navy blue + army green-our marshmallow roasting and smores making guide with 10 recipes ebook is also available for all buyers at no extra cost! 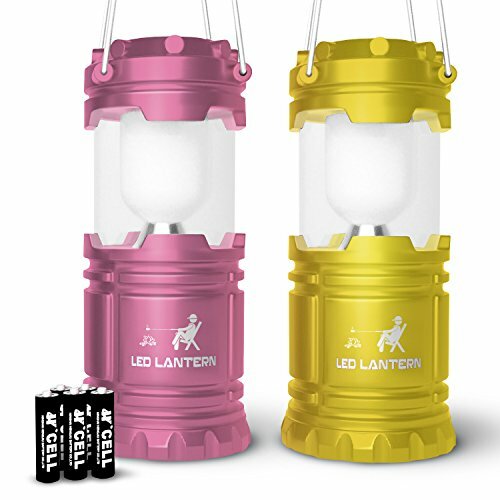 100% satisfaction guarantee -the full camping gear camping equipment lantern bundle comes with a 100% satisfaction guarantee. Mallome is dedicated to address any product/service issues and is committed to delivering a 5 star experience for all buyers. If you have any questions about this product by MalloMe, contact us by completing and submitting the form below. If you are looking for a specif part number, please include it with your message.